5 servings. Takes 50 minutes to make start to finish. *if you aren’t using a high speed blender make sure you soak your cashews for a few hours till they swell up and are very soft. You can also soak them in boiling hot water for 30 minutes. **if you don’t roast your garlic, use 1 tsp garlic powder instead. Spread evenly on parchment lined baking tray. Season with nooch and salt. Wait for the garlic to hitch a ride on your tray before you put it in the oven. Bake for 40 minutes until golden brown and firm. (If you like it very firm you can press it first and bake it longer). 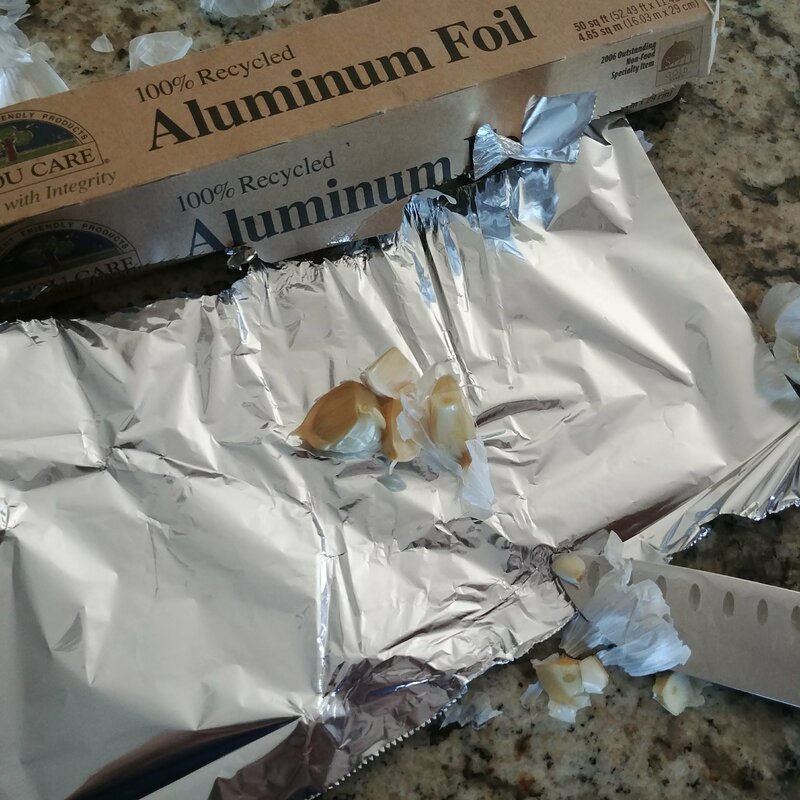 Cut your garlic tips off and wrap in foil. 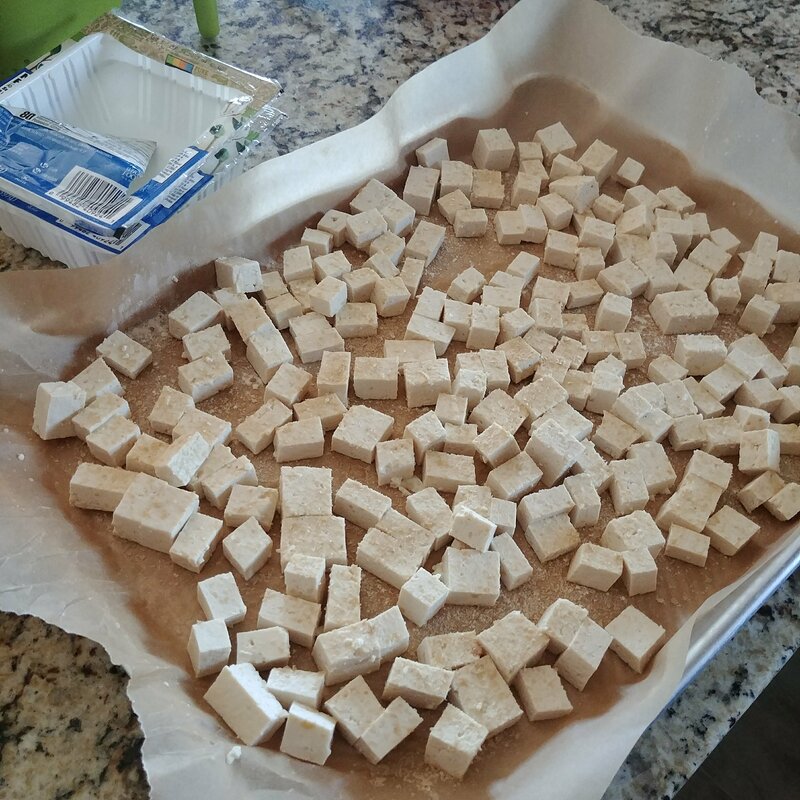 Place on tofu tray to bake together. 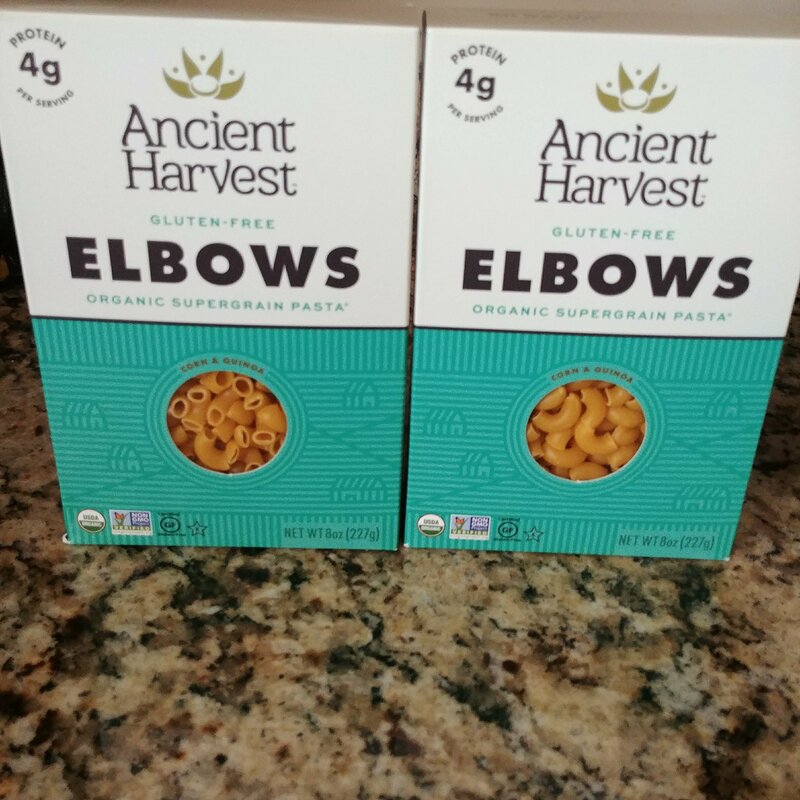 Boil Elbow Noodles as directed on package. Drain and set aside. Transfer cheese sauce to a big deep pan on medium heat on stove. 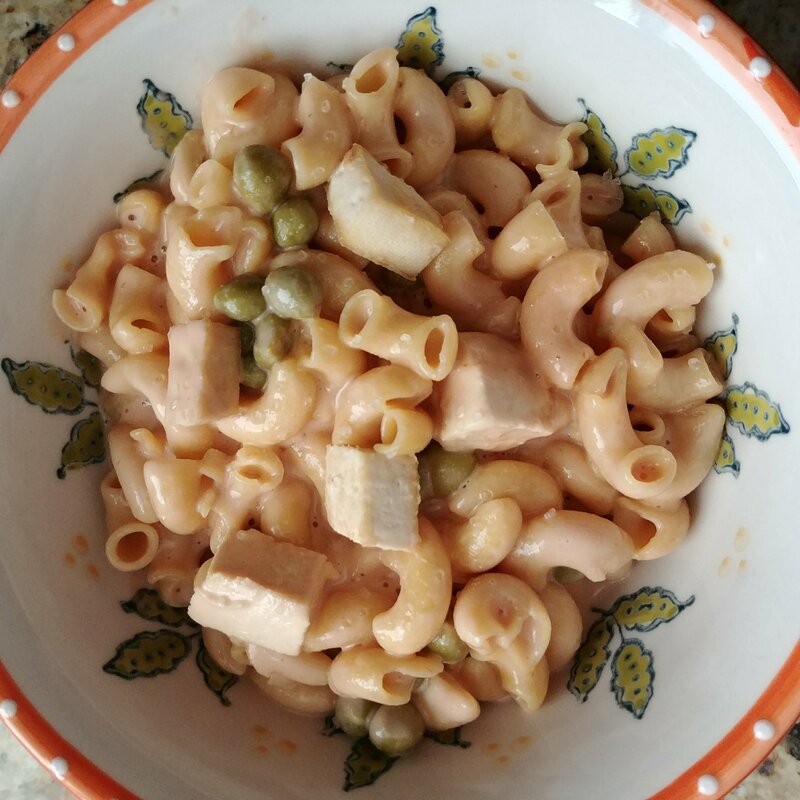 Drain and add canned peas to sauce. Taste and adjust sea salt. Add boiled and drained noodles. 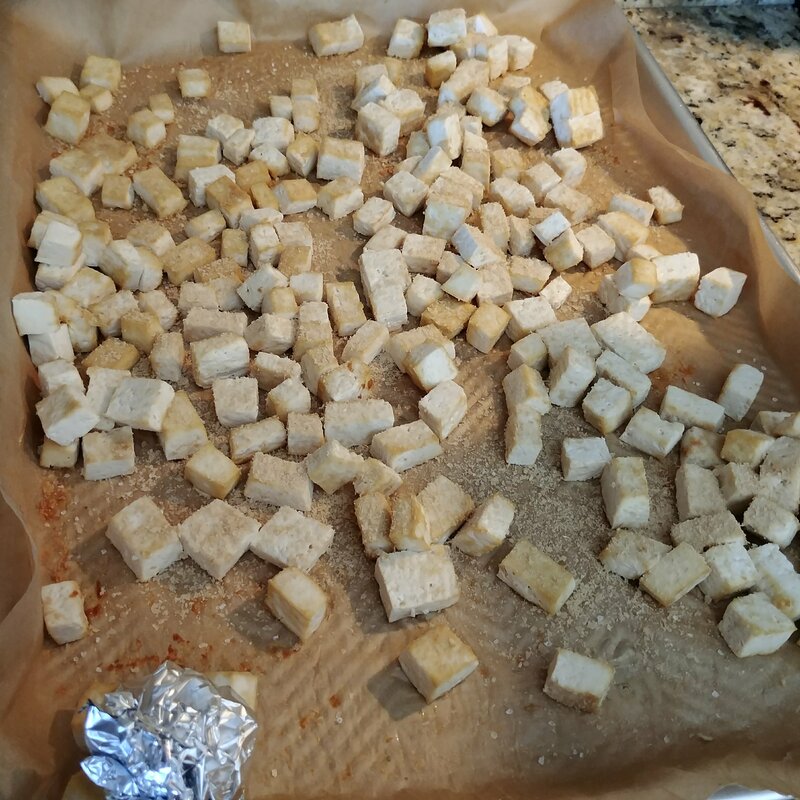 Parchment lined baking tray with cubed extra firm tofu seasoned with nutritional yeast and sea salt. Ready to bake! Oil FREE! roasted garlic. 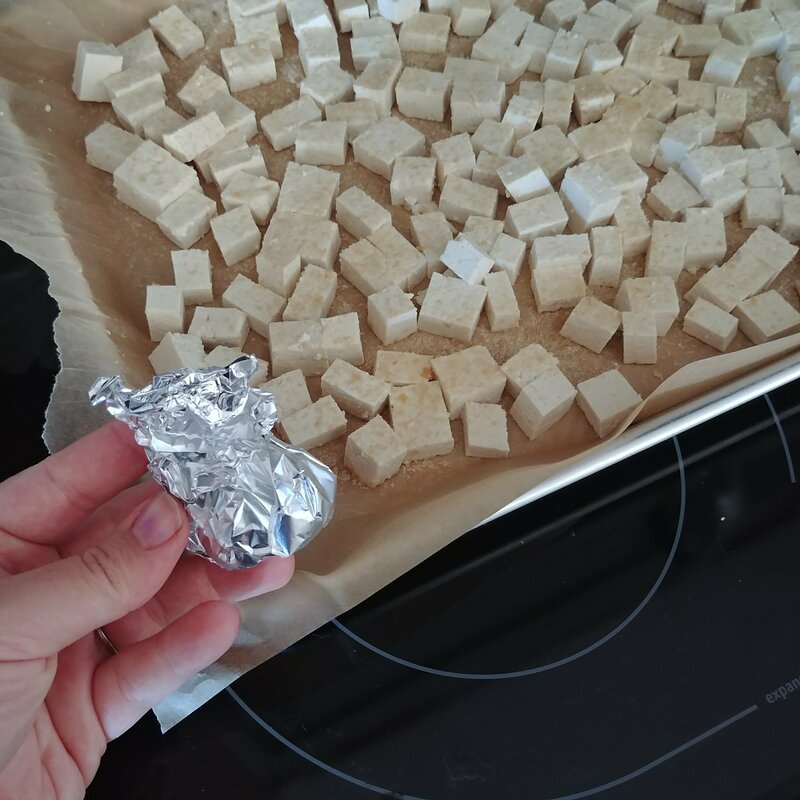 Tips cut off and wrapped in foil. 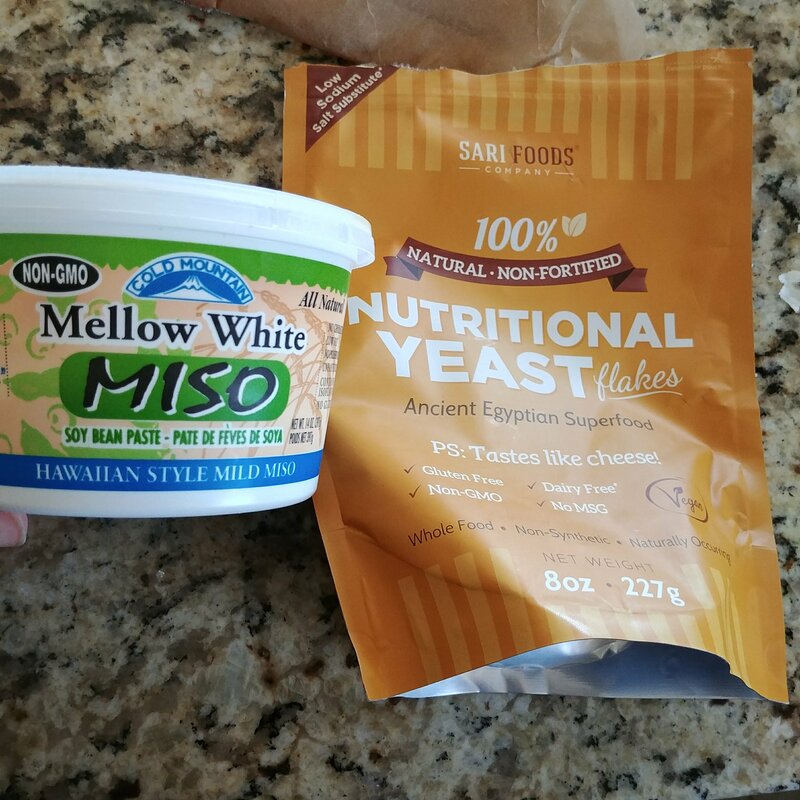 Coconut Milk (use LIGHT not full fat like shown) and The rest of the Cashew Cheese Ingredients, blend til smooth! Heat sauce on stove (careful not to burn bottom) but high enough heat to thicken. 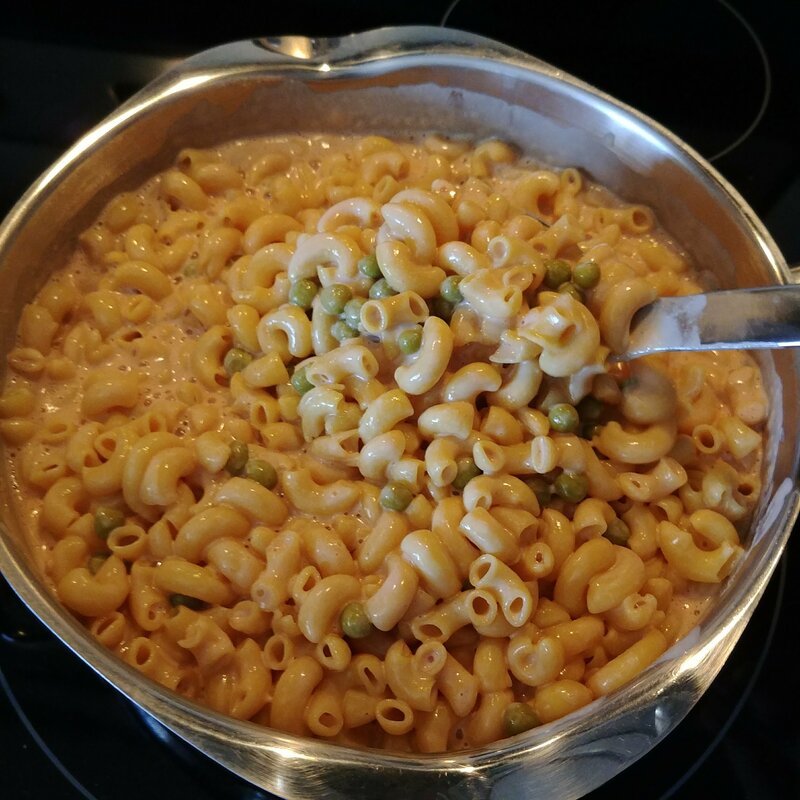 Add boiled noodles and peas. Salt to taste. 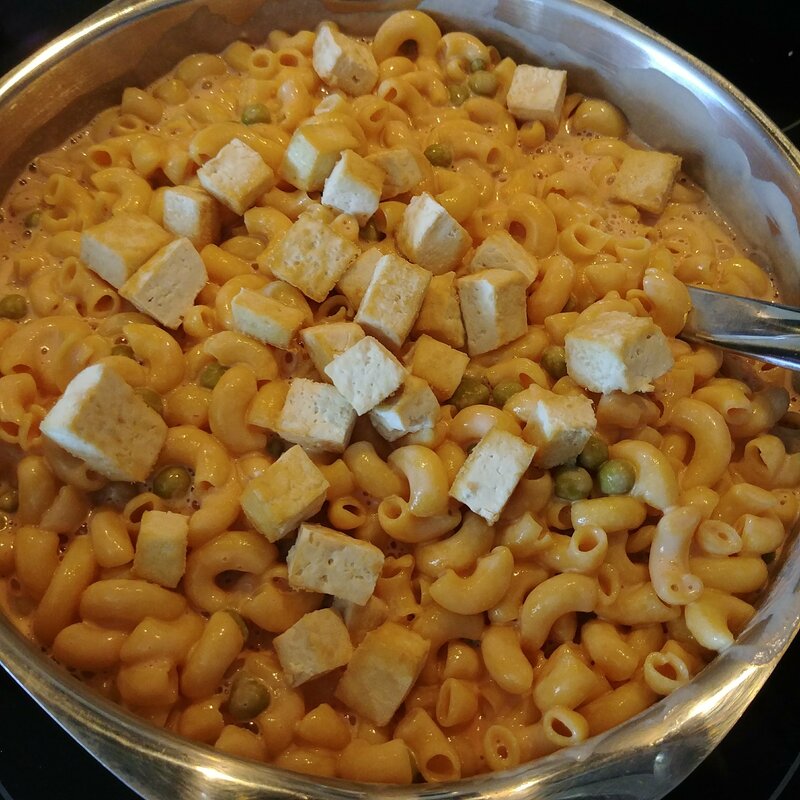 This is a great dish for kids (husbands too!) So Filling. 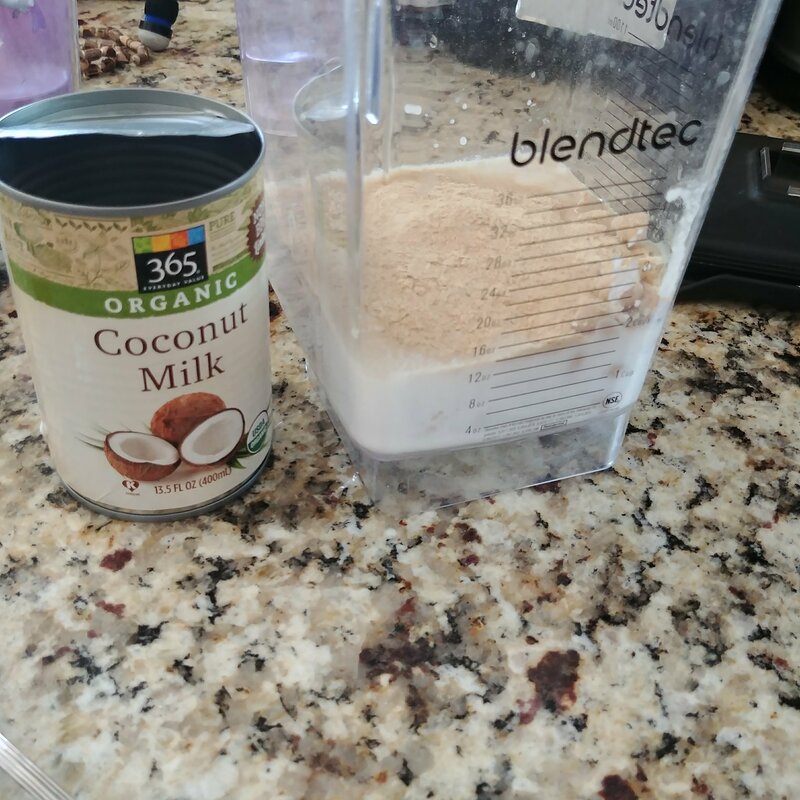 Packed with plant protein and made with healthy whole fats for growing brains. 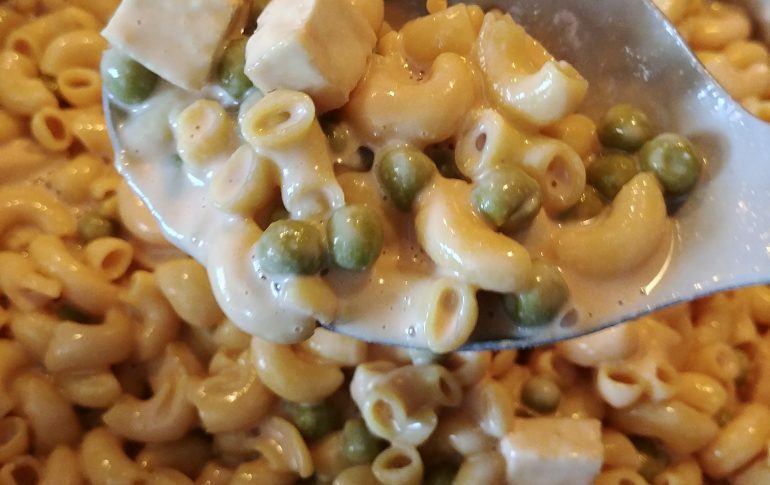 Creamy and Delicious. 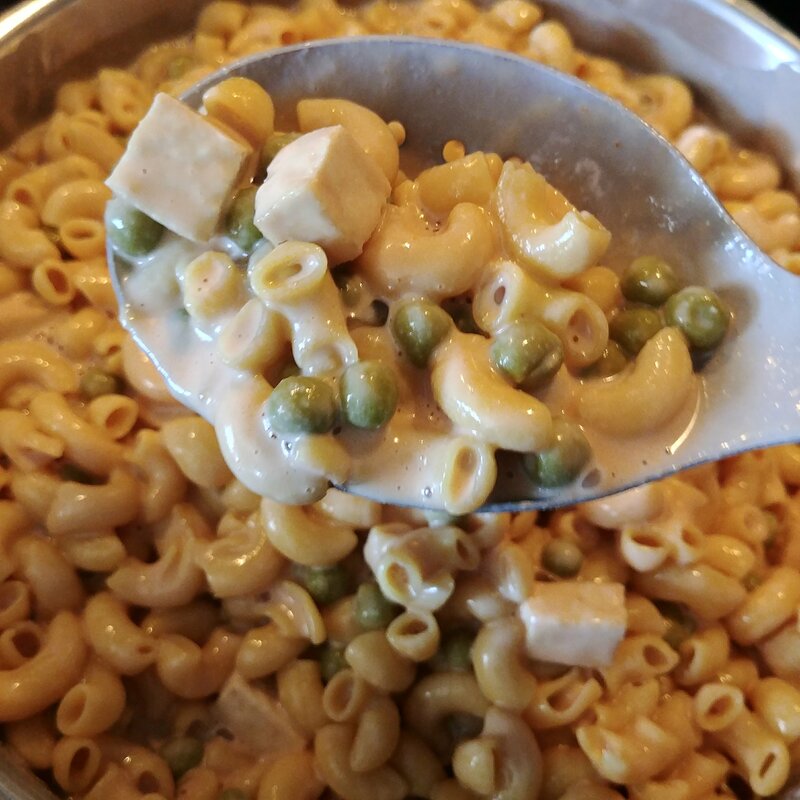 True Comfort Food.